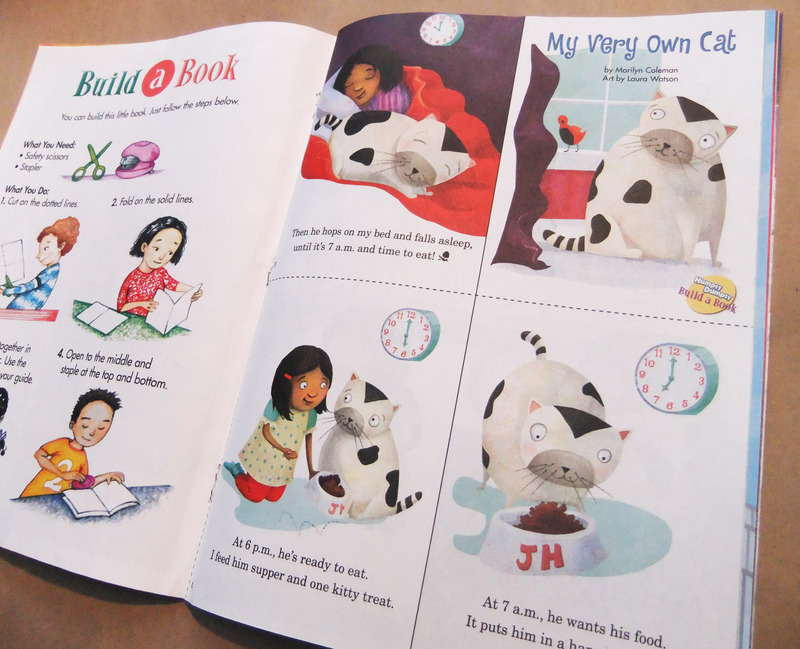 Build a Book illustrations for Humpty Dumpty = Cute! This was a really fun project, given that I have a very soft spot for fat cats. 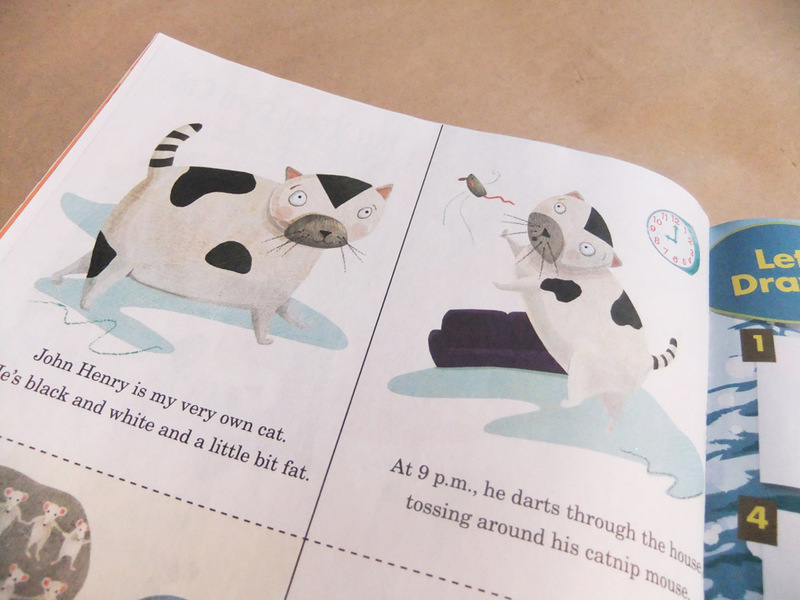 It’s just a cute and simple poem about a little girl’s very own cat, named John Henry. Humpty Dumpty has a fun activity for kids, they can cut out the pages and cut them up, fold and staple to make their own mini book. A quick lesson in book binding and printing forms as it’s a bit of a puzzle to make sure the pages come together in the right order. 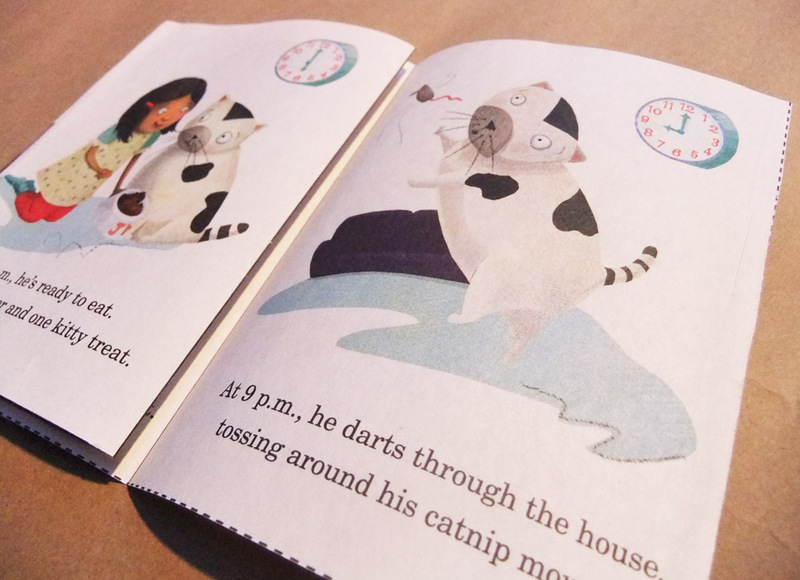 The illustrations were fun to do as they’re simple and rely totally on the girth of the cat to give them character. Typical cat (just like mine), all he does is eat and sleep and love… and play and get exercise for 5 minutes a day! What she said… All true!